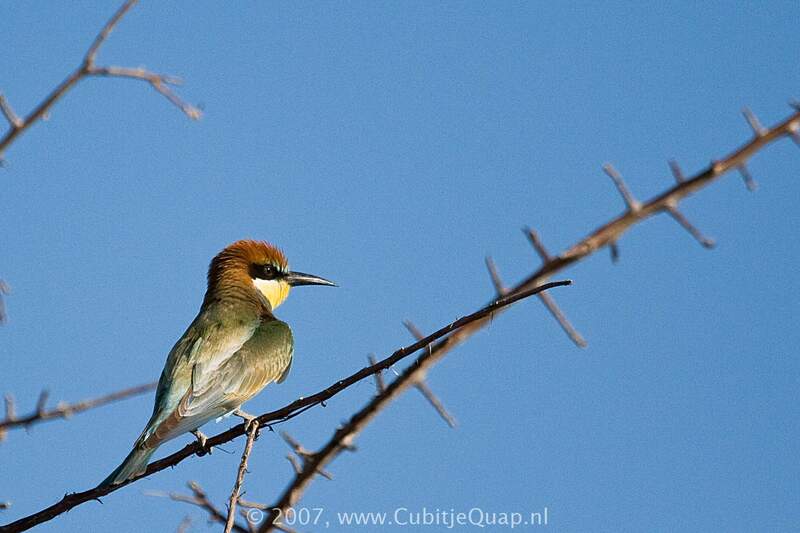 In the region the only bee-eater with a chestnut crown and mantle, and a yellow back. 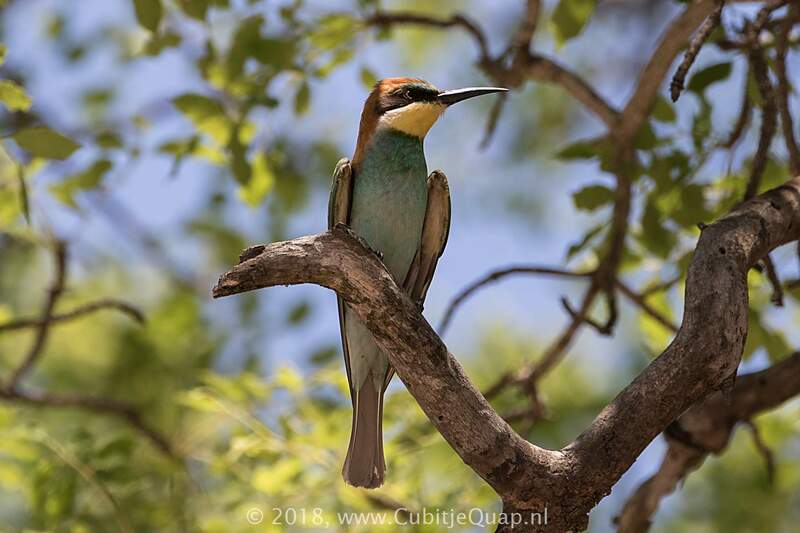 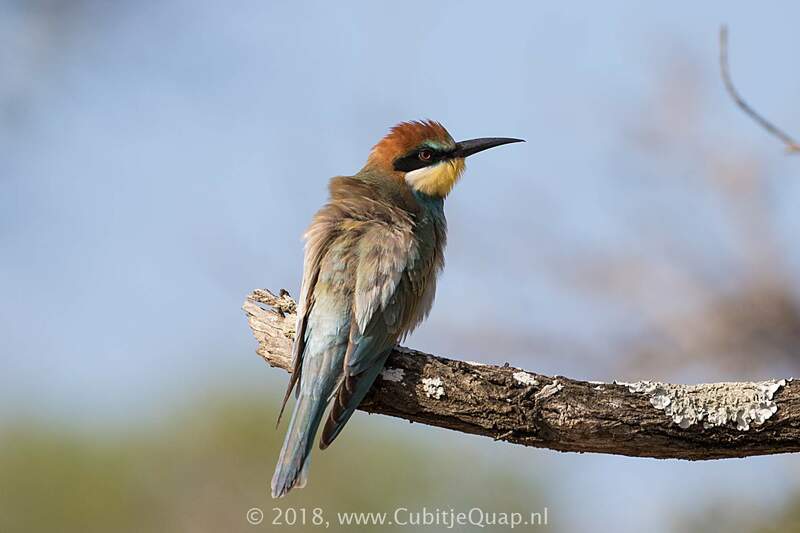 juvenile has a green back but its pale blue underparts should eliminate confusion with other bee-eaters in the region. 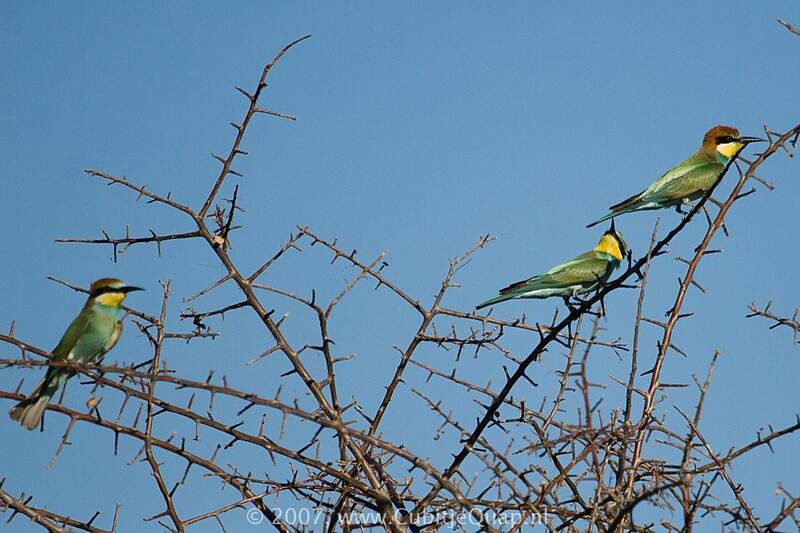 Thornveld, open broad-leaved woodland, fynbos and adjecent grassy areas. 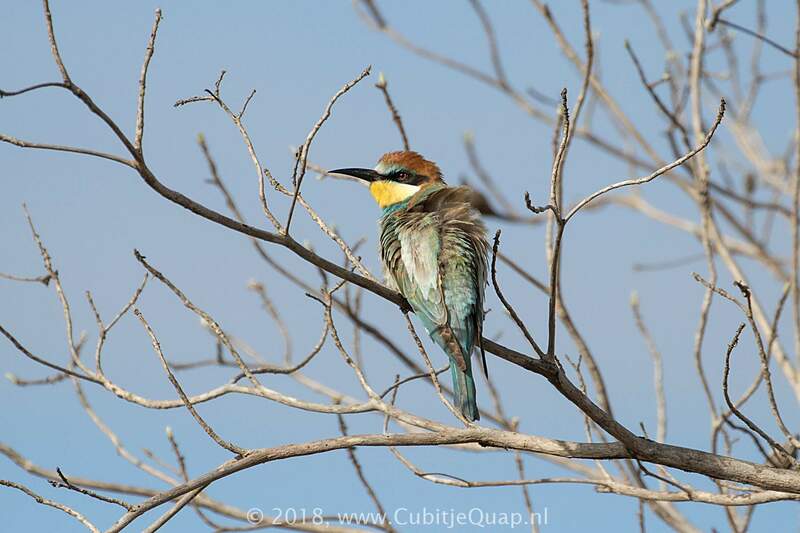 A far carrying flight call: a frog-like 'prrrup' and 'krroop-krroop'.